It only seemed right to have their outdoor wedding at a cottage farmhouse venue, especially since the groom, Phil, is a farmer and their new home will be on the farm. When they discovered The Cottage Farmhouse it was a no-brainer; it was the perfect setting to start their first day as husband and wife. When I arrived at the farmhouse on wedding day the girls were relaxing in their floral robes, chatting quietly and grabbing snacks in the kitchen; the guys were chilling out in the air conditioning after a morning of golf. The atmosphere of the wedding was easy, light and fun - which is also a reflection of what Alli and Phil are like as a couple. 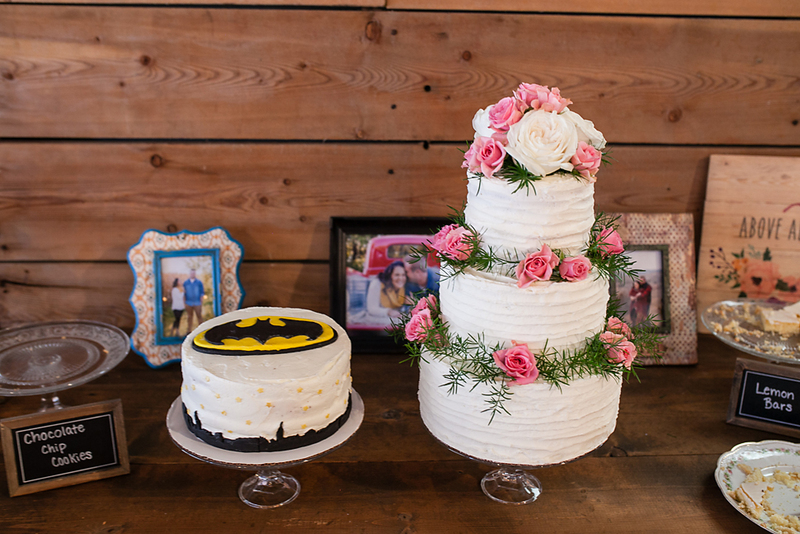 Allison filled her wedding with attention to detail. However, especially unique to her details was her thoughtfulness of others. From the personalized handkerchiefs she gave to her mother and mother-in-law, to the bee on her bouquet to honor her late grandmother, to the gift she gave Phil before the wedding, she had thought of everything to make sure everyone felt loved and taken care of. Her beauty goes deeper than the surface; Alli, also an ESL para, has a huge heart for others. Alli and Phil, it was a JOY to get to know you over the past year. May these photos remind you always of your love and the beautiful day you shared with friends and family in celebration. My hope is that your journey will only get better as you adventure together finding only joy, love and beautiful surprises along the way. Alli and Phil are still unclear about how they met. They do, however, remember meeting at a volleyball game in which they were both players. In fact, their proposal happened after a double header in 100 degree weather. They were supposed to go to his parents lakehome for a bonfire, and she suggested they jump in the lake to cool off. He, however, insisted she go home, shower and dress-up first, which she thought was a bit odd but did anyway. When she arrived, she got a text to around back of the house where she was met by Phil. "As we walked around the house I saw all sorts of candles, lights and lanterns." Marry Me by Train was playing as they walked through the lit pathway to the end of the dock where Phil had set a table with wine, flowers and a huge sign lit up saying, "WILL YOU MARRY ME?" He got down on one knee, and the rest, as they say, is history! It was important for Phil and Alli to wait until the ceremony to see one another. It was an especially moving moment when her father gave her way. It's a treasure for me to capture a wedding so filled with reverence and respect. After the ceremony, Phil and Alli escaped the crowds to linger alone for a few moments before heading to the reception area. These are the sweetest moments where they can let slow down, take a deep breath, fall into each others arms while absorbing the true meaning of their day. With an outdoor bar, display of baked goodies (including the Batman cake) and the catering of pork'n'beans, pulled pork sandwiches, cheesy noodles and watermelon... what more could you ask for?! The evening ended with hilarious speeches (ah, errr... songs), first dances, and smore's over the bonfire. It couldn't have been more perfect!